By integrating EasyStore, you are able to install and manage all of your marketing activities from one place / one account / one dashboard / one customer support / one invoice. Get targeted traffic - Their team of marketing experts will create personalized campaigns on the largest ad-networks to drive traffic to your online store. Boost your online sales - Increase your conversion rate by popping up coupons & special offers to your visitors in return for their email. New revenue channels - Sell directly on Facebook and turn your fans and their friends into customers. Cart abandonment - Their Exit intent technology will ‘catch’ abandoning visitors at the exact moment and turn them into paying customers. Acquire new customers - Your customers love your online store. Get their friends to love it too. Launch a powerful referral program in seconds. 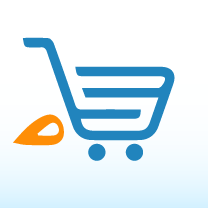 Offer: EasyStore merchants get $75 OFF on Traffic Booster for the first month. Regular price is $100. Start getting online sales today!